Can you refer Ultra Education? We want to extend the ULTRA programme into more schools, youth clubs and community organisations. We would really appreciate it if you could introduce us to your child’s school or any other contacts in your local council or housing association by submitting a few contact details. 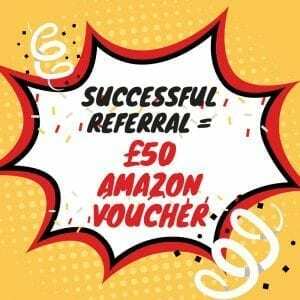 To show our appreciation Ultra Education will reward every successful referral with an Amazon voucher worth £50.